Responsibilities: Responsibilities include marketing and managing the engineering department, including supervising project engineers, CAD drafters, and design technicians with the goal of ensuring efficiency & accuracy of engineering work performed by the department. It also includes accurately & efficiently performing engineering work for individual projects on schedule and on budget. This position will oversee all engineering design & drafting, including calculations for preparation of drainage, grading, TESC, roadway, and utilities plan preparation. Qualifications: Applicant must possess strong Client interaction and marketing skills, as well as strong office and field skills. Must be proficient in oral and written communication skills and the ability and desire to bring in new business and grow team. Must have effective leadership skills and ability to work and thrive in a multi-discipline, team environment, with a working knowledge of stormwater modeling programs such as Stormshed, WWHM, and KCRTS, and with AutoCAD Civil 3D. Experience: Must have Professional Engineer License in State of Washington. 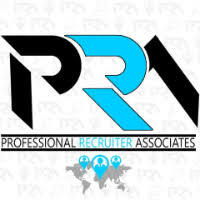 For immediate consideration, please forward a copy of your current resume to info@profrecruiters.com referencing job #1781 or a link to this job.